Greg is both an actor and a producer in film and on the stage, and has appeared in numerous independent films and a stage production in Austin, Texas. Greg moved to New York City in the fall of 2004. While in NYC, he appeared in Off-Broadway and Off-off-Broadway productions that included ACTING ALONE at The Abingdon Theater, TRACERS at the Arthur Seleen Theatre and SIMPATICO, which he also produced, at The Barrow Group Theater Arts Complex. He is now back in Austin acting and producing theatre and feature films and is currently in preproduction on his next film, an action film in the Frank Cord series written and directed by Gabriel Folse. Joseph Thomas (J.T.) was born and raised by his widowed mother in the Rio Grand Valley of Texas. He moved to Austin with his own young family at the age of 21. After working at the coroner’s office, as a late night DJ and as a counselor at a juvenile detention facility – J.T. finally found his way into Austin’s film industry as an extra on THE ALAMO. It was from that point on that J.T. starting realizing his love for acting and for the Austin film community. With a personal and professional philosophy of “never compromise,” Flavio possesses a tremendous passion for the craft of acting. Born in Mexico City of Spanish/Italian ancestry, this now Austin local has spent the past ten years playing a wide variety of roles. In 2004, he portrayed Col. Juan Almonte in the Touchstone Pictures production of THE ALAMO, and most recently, was a recurring co-star on the new season of the hit Fox television show, PRISON BREAK. Flavio has also enjoyed working in the theater and has appeared in productions such as Tennessee Williams’ SUMMER AND SMOKE, in which he played Papa Gonzalez, a cold-blooded and alcoholic casino owner. Brent A. McCoy, who became a resident of Austin in 2002, was born in England and grew up in Massachusetts. 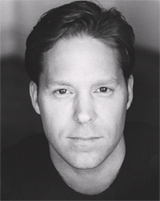 Brent got his start in acting in 1983 with a small part in a local community theater production of the WIZARD OF OZ. For the next 16 years, he performed on and off until 1999 when he began studying the Meisner method in Boston. 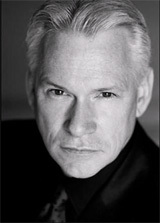 Since moving to Austin, Brent has done print ads, commercials and several films including Douglas McGrath’s INFAMOUS, Kimberly Pierce’s STOP/LOSS and Gabe Folse’s GUILTY. Brent continutes to study acting with teachers such as Ron Hayden, Gabe Folse, Donise Hardy, Van Brooks, Paula Russell, Pato Hoffman and Babs George. 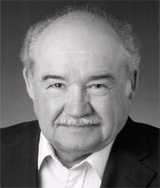 John Hambrick, a 67-year-old native Texan, appeared in various TV series and was accepted into a training program at 20th Century Fox during his college years. Hambrick credits the late Alice Parishan, whose many students included James Coburn, Robert Vaughan and Shelly Morrison, as his most incisive acting coach. 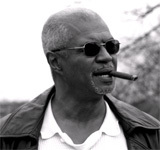 In 1963, Hambrick traded his acting career for a career in television journalism. Hambrick won several Emmys and other awards for his work that took him worldwide, including Vietnam during the war and the Middle East. Hambrick covered national political conventions, interviewed five presidents and traveled with Pope John Paul II. He regularly co-anchored in major markets such as Cleveland, Los Angeles, San Francisco, Miami and New York. Hambrick also reported first hand on the assassination attempt against Ronald Reagan, the murder of John Lennon and the Reagan-Gorbachev Summit. Then came retirement and a bout with Cancer, which led to Hambrick growing restless and looking for the next phase of his life. That is when his desire to act returned and not too far behind was Gabriel Folse casting the old newsman as Mayor Wurl in GUILTY. Hambrick isn’t quite so restless anymore. Brady Coleman has appeared in 50 plus films and numerous theatrical productions nationwide. Brady sings, plays fiddle and the guitar with the Melancholy Ramblers and other bands. He lives in Austin. 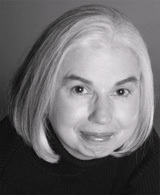 Babs George is a professional actress and has been a member of AEA and SAG for almost 30 years. She was seen last season in NBC’s FRIDAY NIGHT LIGHTS and appeared in FIREFLIES IN THE GARDEN with Julia Roberts and Willem Defoe which should be released later this year. She has an M.F.A. in Classical Acting from The Shakespeare Theatre and The George Washington University in Washington, D.C. She works steadily in both film and stage and lives in Austin, Texas. 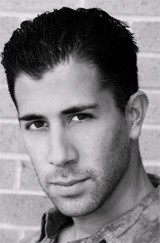 Korey Simeone is an actor and musician from the Austin, TX area. He has been privileged to work on exciting projects such as SIN CITY, PRISON BREAK, and THE JAMIE KENNEDY EXPERIMENT. He also tours as a musician all over North America. Korey hails from the very small town of Elk River in Northern Idaho. Some highlights of a 35 year career stretching from the movies, SUGARHILL to PHANTOM OF THE PARADISE to CLOSE ENCOUNTERS OF THE 3RD KIND to BRAINSTORM and FRIDAY NIGHT LIGHTS … to TV shows TRAPPER JOHN M.D. to HILL STREET BLUES to MCGYER to NIGHTRIDER … throw in 30 national commercials …and you’ve got the mosaic of Peter’s life. Peyton Hayslip received her training as an actress at the Juilliard School in NYC, the Dallas Theater Center, the National Youth Theatre of Great Britain and privately from the late Martin Jurow (producer of BREAKFAST AT TIFFANY’S, and the PINK PANTHER). Peyton has been very active in Austin as an actress enjoying many roles in numerous films (studio and independent), documentaries, TV programs, anime, and print projects. Her credits include Gabriel Folse’s GUILTY, Asif Kapadia’s THE RETURN, and Jonathan Levine’s ALL THE BOYS LOVE MANDY LANE. Peyton also has credits as a director, assistant director and a producer on many regional productions. She is also the co-founder of Thistlemouse Productions, which produces plays and performances for children and families. Peyton has been lauded as one of the Top 40 Actors in Austin by the Austin Chronicle. In 2007, she was honored to be nominated as one of the Ten International Outstanding Women in Film and Music by the Myspace Association of Outstanding Women in Film and Music. Paul Smith lives in Austin, Texas. He graduated with a BA in psychology. 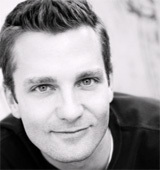 Paul has spent the last 4 years working and studying acting in the Austin area. E.J. Stapleton's acting career started in 1963 in the film THE CARDINALS. Originally from Massachusetts, E.J. has worked in such films as CRUISING, THE VERDICT, FRIENDS OF EDDIE COYLE and WHO’S LIFE IS IN ANYWAY. E.J. can currently be seen opposite Sandra Bullock in the Hyde Park Entertainment thriller PREMONITION. E.J. has studied with such greats as Uta Hagen, Bill Hickey and Sandy Dennis, and has been a member of the Austin film community since 1993. Everett Sifuentes has run the gamut when it comes to show business. 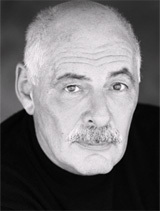 He has been in musicals, stage plays, movies, print work and many, many commercials. He got his start in the business as a dancer in the Dallas area and has since made Austin his home. Everett is versatile, outgoing and makes every part his own. Everett is represented in Austin by Acclaim Talent and in Dallas by The Campbell Agency. He is a member of SAG, AEA and AFTRA. Holly is a stage and film actor who was among the first students to be selected for Austin's State Theater's Film Making class before the theater was shut down for repairs after flooding. She has since combined acting with production work and writing for both stage and film. She is currently a member of GoBoTrick Theater in Austin, Texas. Karina was born and raised in the Southwest before coming to the University of Texas at Austin, where she received her degree in Magazine Journalism. 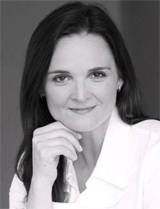 Karina has performed in local, regional and national commercials, as well as independent and student films. 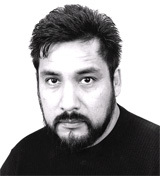 Don Javier Castillo began his acting career at the Texas Renaissance Festival in 2000. Since then he has been the true voice of romance, serenading ladies and their families as Don Javier-The Singing Conquistador. THE ALAMO. Since then he has worked steadily in independent films, tele-novelas and in print. His most recent role is in Gabriel Folse’s film GUILTY. Don Javier lives in Austin, Texas with his wife and their young son. 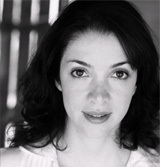 Raquel, a University of Texas graduate and a Licensed Interior Designer, has always had a passion for acting. She has been in several local independent films and currently is the main Spanish voice for the Texas Lottery. Raquel also had a short stint as a Video Jockey for the Austin Music Network. In her spare time, Raquel dances Salsa and Meringue, plays guitar and loves spending time with her family. Lazaro, who was the first born of eight children, immigrated to the United States in May of 1976. In pursuit of his dream of becoming famous, Lazaro gave up his boxing career to become an actor. 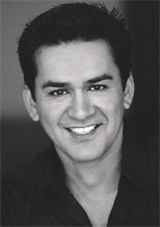 Lazaro studied at the Arte Acting Academy in Houston, TX. He has participated in several music videos and movies, such as ONCE UPON A TIME IN MEXICO, THE ALAMO, FALL TO GRACE and FRIDAY NIGHT LIGHTS. He has had the privilege of working with such great names, including directors Robert Rodriguez and Quentin Tarantino and actors Billy Bob Thornton, Antonio Banderas, Selma Hayek to name some. Joe caught the acting bug back in the mid-80’s. and has stayed quite busy with print advertising and television commercials. When he isn’t acting or being a father, you can find Joe enjoying sports such as boxing, UFC, baseball and football. 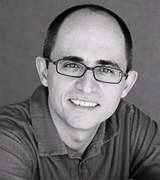 Rafael Zubizarreta is a theater actor who has done extensive stage work throughout the United States. Rafael, who currently lives in Houston, continues to grow with each project as he works toward realizing his acting dreams. Gabriel Folse began his fascination with movies as a child, by studying movies, as well as filmmakers. He started shooting his first movies on an 8mm Bell and Howell camera that his mother gave him at the age of eight. It was in 1980, that Gabriel’s mother informed him of director Ed Dmytryk, Gabriel’s first acting teacher, moving to Austin to teach beginning acting classes. At that moment, Gabriel knew that it was time to quit the real estate business and begin, as an adult, a career in film. Gabriel has performed on stage and in television series, movies of the week, and major motion pictures. His acting experience includes work in Los Angeles for ABC, Universal, and Metromedia, as well as work in New Mexico, Arizona, and Texas on a variety of film and television projects. His directorial work includes the award winning, experimental short film, IN GOD WE TRUST. It received the Bronze Award at Worldfest West in Flagstaff, Arizona, one of only three awards given in the experimental category. He wrote, produced, directed, edited, and appeared as an actor in the project. As an actor he has worked with many top film professionals and with many top directors including Clint Eastwood, Lawrence Kasdan, Oliver Stone, and Jon Avildsen. His television appearances include WALKER TEXAS RANGER, GIDEON OLIVER, and THE YOUNG RIDERS. Gabe also had a supporting role in Episode Six of INTO THE WEST, a miniseries for TNT. His feature film appearances include MISS CONGENIALITY, A PERFECT WORLD, and WYATT EARP, among others. His writing experience includes, one act plays, three feature length scripts, and a novel. He has been involved in many aspects of filmmaking including casting, producing, directing, writing, editing, acting, and cinematography. He has also appeared in national and regional commercials and was given the Singular Performance nomination by Robert Fairies, theater critic for the Austin Chronicle, for originating the role of Garland in Ellsworth Schave’s A TEXAS ROMANCE. He has served on the Austin Arts Commission, Theater Panel and is a member of the Screen Actors Guild and The American Federation of Television and Radio Announcers. 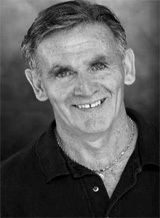 Greg McCreight is an actor with experience both in film and theater. Greg has completed numerous classes, workshops and seminars with the leading acting teachers and casting directors in both Austin, Texas and New York City. Aside from his experience in the performing arts, Greg also brings a strong background in business management, development and sales to the GUILTY team. Greg was the founder and President of an eLearning and eCommunications company that delivered broadcast quality streaming video and interactive content to clients. His background also includes experience in the Internet data center, telecommunications, service provider, and computer networking markets at such companies as Cisco Systems, AT&T, and SmartNAP. At Cisco Systems, Greg managed a Service Provider Group that was responsible for over $110 million in annual revenue. Greg also served in the U.S. Navy during Desert Storm and holds degrees in finance and economics from the University of Maryland. Tony is a graduate of the Radio-TV-Film Department at the University of Texas at Austin. He has been recognized for directing short films and music videos, as well as for his work in still photography. As a screenwriter, Tony has been a semi-finalist in Francis Coppola’s American Zoetrope Screenwriting Competition, and he placed in the top 15% of the Academy of Motion Picture Arts and Sciences’ Nicholl Fellowships in Screenwriting. Tony hopes to produce and direct his very own feature script, IRON HORSES. Gary’s musical talents speak for themselves having sold over 26 million albums in 43 countries. Gary’s credits include scoring work and songs represented on Walt Disney’s LITTLE MERMAID, ALADDIN, BEAUTY AND THE BEAST, THE LION KING, POCAHONTAS, TOY STORY, A BUG’S LIFE, TOY STORY II, and DINOSAUR. Five of his works with Disney have gone Gold and one has gone Platinum. Gary has also produced the entire catalog of albums and videos for Joe Scruggs. In 1999, Powell won a Grammy Nomination for his production of Disney’s “A Bug’s Life Sing Along”. In 2001, Gary Powell was awarded the “Award of Distinction” from both the Communicator Awards and Videographer Awards for his video production of “Gary Powell Presents....”, a behind-the-scenes look at the recording sessions for “A Bug’s Life Sing Along”. Powell has won five Gold Parents’ Choice Awards and one Silver as a producer for Joe Scruggs. The events, characters and firms depicted in this motion picture are fictitious. Any similarity to actual persons, living or dead or to actual firms is purely coincidental. This motion picture is protected under the laws of the United States and other countries. Any unauthorized exhibition, distribution, or reproduction of this motion picture or videotape or any part thereof (including the soundtrack) may result in criminal penalties.